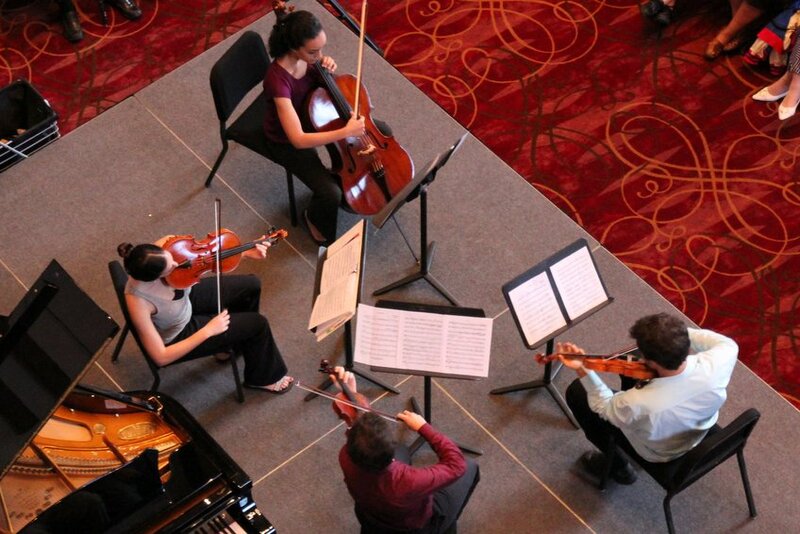 Members of the Houston Symphony and the Symphony’s Community Embedded Musicians perform Beethoven’s String Quartet No. 1 in F Major, Op. 18, No. 1 and his last quartet, String Quartet No. 16 in F Major, Op. 135. Da Camera’s A Little Day Music is the longest running free concert series in Houston. A Little Day Music is a series of free concerts presented at noon on the first Wednesday of the month. Each concert is designed to deliver Da Camera’s signature programming to an audience including senior citizens, downtown professionals, and students. The series features a variety of chamber music and jazz, presented in an accessible one-hour concert format. Audiences are invited to enjoy their lunch while listening to the music. Bring your lunch, bring your friends. Parking is available in the Central Library’s underground garage; enter on Lamar. Groups of 10 or more must make a reservation; seating at the Julia Ideson Building is limited. To make a reservation, call 713-524-7601 ext. 19.